mAh per display square in. 267mAh/sqrin. 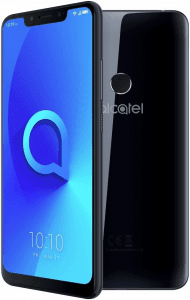 This octa-core smartphone has one of the widest screens among Alcatel's 2018 Android lineup, in the form of a 6.2-inch 18.7:9 display with a 2.5D glass finish and a 1500 x 720 definition, while it upgrades the Alcatel 5's 3000mAh-only battery to a 4000mAh one, consequently hitting the 2018 high-end yardstick for battery power. It also delivers high-class (as of its release) AI imaging features and post-shot refocusing through its 12- plus 2-megapixel dual rear camera. Pros and Cons Review The Alcatel 5V boasts a 4000mAh battery power and a large 6.2-inch 18.7:9 display, but it settles for a mundane (in this class) 720p screen resolution. Learn more about its pros and cons in our specs-based analysis here. 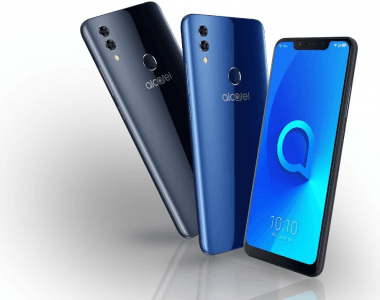 (more) Alcatel phones 2019 View all the new Alcatel phones.